Wow- I cannot believe that tomorrow is the start of a new year! My how time flies! This year has been crazy but good. God is faithful and has exceedingly blessed us this year!! ~All three Scott girls were baptized and joined our church earlier this month! I am so thankful for that! Grandma came as well which meant so much! Some of my dear friends were also there for the baptism and for a blessing party! Thank you, friends!! ~being the publicity coordinator for the Nashville Do Hard Things conference! I got involved with bringing it to Nashville in July of 2009 and it came to Nashville August of 2010! It was so cool to see God working on our behalf for the conference. It was amazing to meet and work with new awesome people. I am so thankful for all of the people that helped bring the conference here! My friends were so supportive and helpful! Thank you all!!! It was a wonderful experience and I am so thankful I got to be the publicity coordinator! ~my second year at Whitver. I feel like I have connected more and I really love it!! My classes, teachers, and friends are fabulous. I also have a lighter workload compared to last year which has been really nice. I am so blessed and thankful. My lit lab last year! I miss that class! My spanish 2 class last year. ~Our family trips: the Scott ladies went to see fam at the cabin in January. Our fam went with Nana and Papa to Knoxville in January to see our cousin get married! Dad and I went on a Lil and Dad trip to Memphis during my spring break! In June we went with two fun families from our church to Gatlinburg! In August we went to camp (see below). At the end of August we went to Miami for Mom's high school reunion! It was great to see a bunch of Mom's family!! On the way home we went to Disney!! (can I just live at Disney? It makes me happy :) In October we took Nana and Papa to Shaker Village! We had a great time!! Dad and I also went on a road trip to practice my driving over fall break down the Natchez! In July we celebrated July 4th with our friends the Dodds at the lake! Scott girls on Main Street in Magic Kingdom! The fam at Shaker Village! ~In April, Hannah came to live with us! She started cosmetology school in August! We have really enjoyed having her here!! ~In April I got a group of Makos together to go to the MTHEA Teen Banquet! It was so much fun!! Riley, Lily, Lauren, and Christina! ~Allie and I threw a surprise party for our darling friend Lindsey's 18th birthday in July! I also helped throw a going away party for Allie! ~I turned a year older! :) My fabulous piano teacher, who is practically a family member (she is so wonderful- I hope you can meet her sometime!) threw a surprise party for me! I also went with some girlfriends to Chihuly at Cheekwood! ~We now have all teenagers! Craziness! Cara turned 13 in October! ~I have such wonderful friends! WOW I am so blessed! ~It has been so much fun to play piano for church- such a privilege! It is awesome to get to play with the guys every week! And y'all- our church family is phenomenal! I am so thankful for them! ~Y'all, God is so faithful. I am so thankful for that promise! Words cannot describe. He is good. ~In August Julia and I worked kitchen staff, Mom taught cooking, and Cara was a camper. It was a very interesting experience. I am thankful for it though! ~The Nashville Flood was in May. We were very thankful to not be affected but we have many friends who were. It was so sad. It was so cool though to see Nashville pull together and help! FEMA said they had never seen a city pull together so well! ~In June my friend Allie came home from China! We missed her! ~Nashville has gotten some great snows! 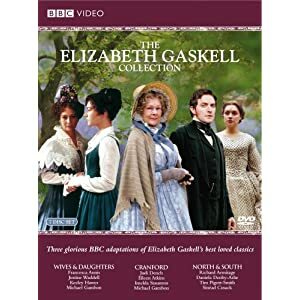 ~Elizabeth Gaskell DVD set! AHH so good! So far I've only seen North and South and can't wait to see the other ones! Check it out on Amazon! The newest Narnia movie, Voyage of the Dawn Treader! The fam went to see it on Monday and it was SO GOOD!! Check out PluggedIn's review, imdb, and the trailer! ~My Spanish English Bible from Julia! I LOVE it!! It is amazing!! ~Skype! I am trying to figure out how to get the video one since they just released it! ~Kindle for iPhone- you can get so many great and free classics to have at your fingertips! Pride and Prejudice in Emoticons: this is awesome! My lit teacher told us about it so I had to look it up when I got home! Check it out here! Speaking of Pride and Prejudice, we are reading it for school!! Celebrations!! Have you seen these flash mob Hallelujah Chorus videos? This one is in a food court. This one is in Macy's. So beautiful! This one is also very fun, especially since I am really excited to see a bunch of my friends in Sound of Music next week! The Nashville Symphony re-opens tomorrow! Whoo hoo! Did you know that middle and high school students and homeschool families can get free tickets to the Symphony? Check it out! Look for a post about 2010 tomorrow! When I was a boy I was introduced to the world of Marvel comics by two of my older brothers. These comics not only contained the stories of the super heroes but page after page of advertising designed to excite the interest of young boys. I was promised that I could have x-ray vision and become a master of karate and even build a submarine! The one ad that stands out above all others was the one by Charles Atlas, the body builder. The ad was about transformation. Here was a skinny guy getting sand kicked in his face at the beach and who decides that he is going to send way to Mr. Atlas to learn how to transform his body. He ‘gambles the stamp’ and receives the information. By following the simple steps he is transformed into a muscular man who can stand up for himself and win back his girl. The idea behind the ad was simple: if you will commit yourself to a certain pattern of life, you will have results. You do not have to be a victim of circumstance, you do not have to stay a weakling. If you will only eat right and exercise, you would be shocked by how changed your physique could be. Generally speaking this is true. If you diet and exercise this year, your physical condition will improve. But it will require more than a desire to change. It will require activity. It will require perseverance. Most boys seeing the ad by Mr. Atlas would say that they wanted to look like that, but how many were willing to do what it takes to accomplish that goal? The same holds true for the Christian life. It is possible for you to become a stronger, more muscular Christian. It is possible for you to grow this year in both grace and in knowledge. It is possible this coming year for you to walk more closely with God, to enjoy his comforts, and to grow in holiness. God has provided means for our growth. Those means are freely available for every believer, certainly every believer in the Western world. The problem that most professing believers face is not one of ignorance, but rather of desire and felt need. Do I want to do these things? Do I need to do these things? I want the results (being a strong Christian) but do I want the results badly enough to do what I need to do to have the results? Allow seven words of exhortation for the coming year. -The blessed man meditates upon God’s word. -Hide God’s word in your heart. Every single meeting of the church for instruction, worship, and prayer is designed to bring glory to God and to bring help to your on the pilgrim pathway. By willfully absenting yourselves from those meetings your are denying yourself crucial nutrition for your soul. Is there some nagging issue in your life, some place of disquiet in your soul, some thing which saps your strength and your assurance, the lingering issue of concern regarding your soul, some sin which easily ensnares you? When will it be dealt with? Shall sin have dominion over you? Has God placed the resources at hand–prayer and the word and the Spirit to aid you in overcoming it? Does he desire victory? Will he provide the way of escape that you may be able to endure it? 1 Peter 4:9 9 Be hospitable to one another without grumbling. Hospitality generally speaking refers to showing love to strangers–taking in the traveler, but here it is expressed within the church. Every member in the church has something to offer you and you have something to offer every member. Can you receive or give these benefits on the Lord’s Day and at prayer meeting only? We all have distractions in our lives. Our jobs and daily human needs, our commitments to family, etc. But are there things that fill our time and our affections which detract from the great issues of life? Here is a day, by divine design, to aid us in delighting in God. Here is a day designed to be for us a foretaste of heaven. A declension in our commitment to its benefits will not promote heavenly ends. May God help us to grow strong in the coming year! Wow- it is so amazing that Jesus came, as a baby, into this sinful world to die for our sins. So amazing! Wishing you a wonderful Christmas and great fellowship with family! 41 Now his parents went to Jerusalem every year at the Feast of the Passover. 42 And when he was twelve years old, they went up according to custom. 43 And when the feast was ended, as they were returning, the boy Jesus stayed behind in Jerusalem. His parents did not know it, 44 but supposing him to be in the group they went a day's journey, but then they began to search for him among their relatives and acquaintances, 45 and when they did not find him, they returned to Jerusalem, searching for him.46 After three days they found him in the temple, sitting among the teachers, listening to them and asking them questions. 47 And all who heard him were amazed at his understanding and his answers. 48 And when his parents saw him, they were astonished. And his mother said to him, “Son, why have you treated us so? Behold, your father and I have been searching for you in great distress.” 49 And he said to them, “Why were you looking for me? Did you not know that I must be in my Father's house?”50 And they did not understand the saying that he spoke to them. 51 And he went down with them and came to Nazareth and was submissive to them. And his mother treasured up all these things in her heart. 57 Now the time came for Elizabeth to give birth, and she bore a son. 58 And her neighbors and relatives heard that the Lord had shown great mercy to her, and they rejoiced with her. 59 And on the eighth day they came to circumcise the child. And they would have called him Zechariah after his father, 60 but his mother answered, “No; he shall be called John.” 61 And they said to her, “None of your relatives is called by this name.” 62 And they made signs to his father, inquiring what he wanted him to be called.63 And he asked for a writing tablet and wrote, “His name is John.” And they all wondered. 64 And immediately his mouth was opened and his tongue loosed, and he spoke, blessing God. 65 And fear came on all their neighbors. And all these things were talked about through all the hill country of Judea, 66 and all who heard them laid them up in their hearts, saying, “What then will this child be?” For the hand of the Lord was with him.